I had some of the items already, but if you bought all items, it would cost about $17. Two 10.5″ dinner plates. I bought these plates at the Dollar Tree. One 7″ plate. I bought this plate at the Dollar Tree. Put epoxy on the bottom of one of the candle sticks then stick it to the middle of the first 10.5″ plate. 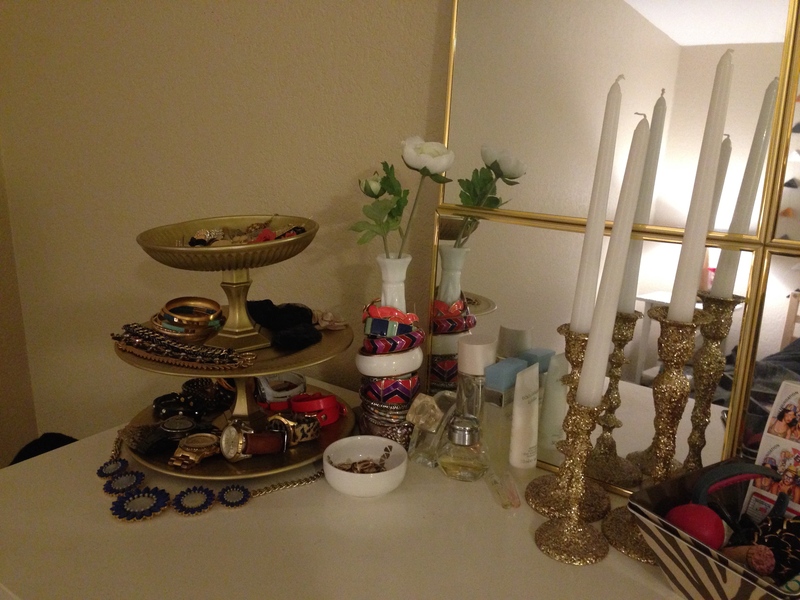 Put epoxy on the top of that same candlestick and place the other 10.5″ plate on top of the candlestick. Put epoxy on the bottom of the second candle stick then stick it to the middle of the second 10.5″ plate. Make sure everything is centered. Let the tower dry for at least 30 minutes. Once the epoxy is dry, spray paint the entire tower. I used two coats of spray paint. 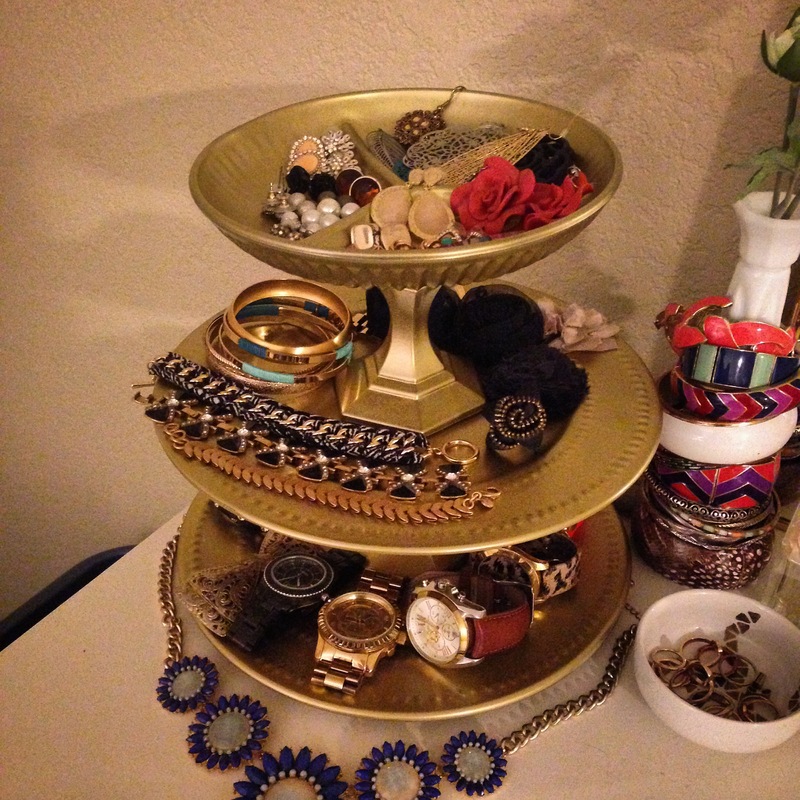 Voila, put your jewelry on top of it.